G Pen Pro Vaporizer • Evertree • Ireland's Greener Vape Shop! 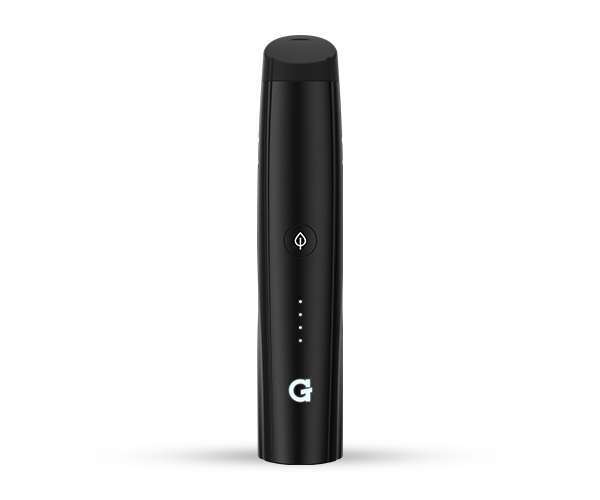 Grenco Science is proud to introduce the new standard in portable ground material vaporization, the G Pen Pro. The result of unrivaled research and development, the G Pen Pro is effective in function and intuitive in design, offering industry-leading performance and value with a price point under €100. The G Pen Pro is dressed in a compact, light and durable aluminium outer body. The sturdy mouthpiece pops on and off effortlessly, with a removable silicone covering for easy cleaning and maintenance. A single smart button controls the powering and temperature control of the device, with three preset temperatures of 375°F (Blue), 400°F (Green), and 428°F (Red). The fully ceramic internal heating chamber has a fill capacity of 0.25g and is capable of reaching vaporization temperatures within 30 seconds of activation. The device automatically shuts off after four minutes of activation to prevent overuse of the battery. Sporting these features, the G Pen Pro is a welcomed introduction to the G Pen family and an indispensable accessory for its discerning consumers. Nice taste from herbs and very fast delivery, thanks. Grenco Science provide a 1-year warranty on all their vaporizers on electronic components. This is fulfilled by Evertree meaning a local return for repair or replacement when needed. Warranty is not applicable to mouthpieces, tanks or coils as they are replaceable items. Can I use tobacco with this vaporizer? No, Grenco Science vaporisers are not designed to be used with tobacco, nicotine will clog up the devices. Is there parts that will need replacing with this vape?